If you believe your home in Jacksonville, Florida, may need a water purifying system, the professionals at RainSoft can help. 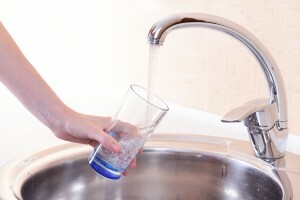 When you first get in touch with us, we’ll send one of our technicians over to your home to perform a complimentary test of your water supply and uncover any impurities that may be present. Of course, you may already have a good idea of what the problem is. For example, if you’re experiencing strong odors or foul tastes in your home’s drinking water, the chances are good that our water purifying system is just what you need. Using an advanced three-stage purification process that involves an advanced carbon block pre-filter, reverse osmosis membrane, and post-filter, our system can purify your home’s water down to the molecular level, removing impurities as small as 10 microns from your home’s water. That means you’ll get a level of water purification that many less sophisticated systems simply cannot match. Having an unlimited supply of great-tasting drinking water also means that you won’t have to buy, carry, and store bottles of water ever again, helping you to save money and reduce your waste. Perhaps best of all, your new home water purifying system will be backed by our industry-best Limited Lifetime Warranty, which means that you’ll be able to enjoy these wonderful benefits for many years to come. To learn more about purchasing a water purifying system for your home in Jacksonville, FL, or to schedule an in-home water test, contact your local authorized RainSoft dealer today.